The Benue Peace and Development Crusade said Ortom was still using mushroom agents to fool the people of the state in the aftermath of the anti-open grazing law. The president of the group, Dan Ochobo, asked the governor to stop using his groups to make disparaging remarks about President Buhari. Ochobo said: "From the outset, this insinuation by TYO is wrong and is in no way linked to what President Buhari uttered in Dubai. Rather, the President said Governor Ortom dumped the APC for PDP because he accused him (Buhari) of doing nothing about the herders/farmers crisis in Benue and he disputed the Governor by confronting him with an unassailable truth." Ochobo added that nothing in the President�s speech made a direct or tacit allusion to the exoneration of �Fulani herdsmen in Nigeria,� as TYO recaptures it; or any other group from the killings in Benue or elsewhere in Nigeria. He said that there is no definiteness in his conclusions and for TYO to ascribe it to him is unconscionable. "In factuality, what Buhari said in Dubai as replicated in the media was thus; �But those of you who are neighbours to cattle rearers, Nigerian cattle rearers use to carry only sticks and their machetes to cut foliage for the cattle," Ochobo said. He noted that Ortom has severally in the past commended the president for his interventions into the law in pursuit of the governor's reelection agenda. "TYO must look beyond the veneer and think more about their future that is been wasted or its fortunes fretted away by Governor Ortom and desist from this meaningless noise they are sponsored to make against the President for a pot of porridge," he said. Meanwhile, Legit.ng previously reported that the state campaign organisation of the Peoples Democratic Party (PDP) in Benue state, has described as baseless, the accusation by the presidency that Governor Ortom is basing his campaign on division and hatred. 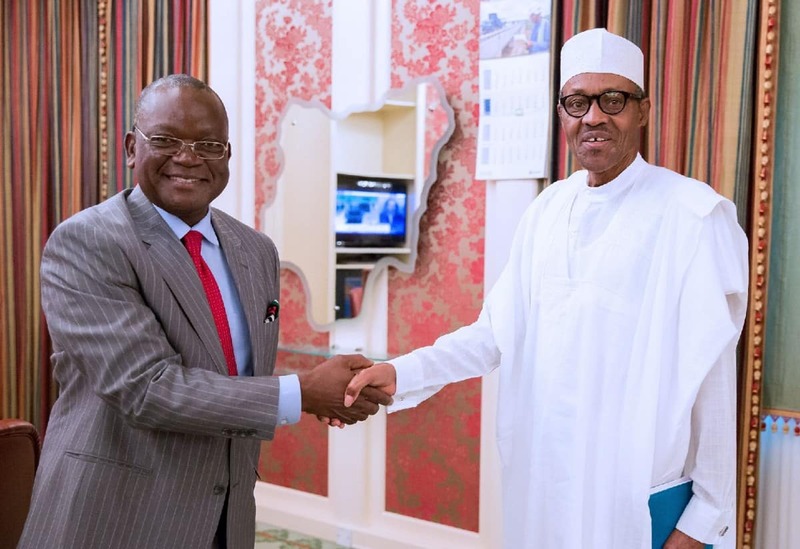 Presidential spokesman, Garba Shehu said Ortom had adopted the tactics to divert people's attention from his inability to pay staff salaries and pensions for several months. He also described claims by the governor that the president is planning to Islamise Benue state as nonsense. The spokesman of the campaign organisation Bemgba Iortyom in a statement said the PDP said such allegations have no place on the factual plane.